Erica Musgrave ’16 lands National Security Agency internship. Don’t bother asking Erica Musgrave ’16 exactly how she spent her summer. One of the top college math students in the United States, Musgrave will say only that she interned for 12 weeks at the National Security Agency (NSA) in Maryland. “It’s classified,” explained Musgrave of the agency’s prestigious Director’s Summer Program internship that sent her, along with 24 other exceptional undergraduates from around the country, to perform mathematical research at NSA headquarters. Musgrave does, however, have plenty to say about the superlative mentorship she’s received at Saint Mary’s. “Because of the small class size, you really get to know your professors,” she said. “I love knowing that I can walk into any of their offices at any time and get help or just talk.” Musgrave felt especially “welcomed” as a freshman when her adviser, Mathematics Professor Ellen Veomett, invited her to discuss research internships. 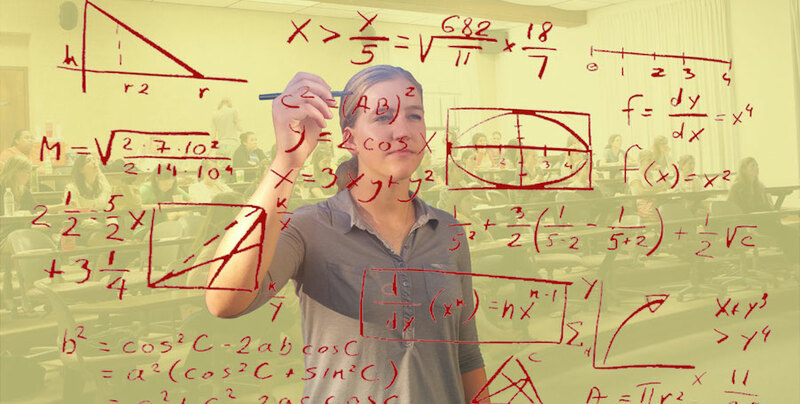 With Veomett’s guidance, Musgrave has participated not only in the NSA internship, but also a Carleton College program for women mathematics majors, a research program for women and minorities at the Mathematical Sciences Research Institute in Berkeley, and the Nebraska Conference for Undergraduate Women in Mathematics. A star Gael softball player, she’s also earned a .982 fielding average and landed a spot on the inaugural West Coast Conference Softball All-Academic Team last year.